Welcome to The Parents’ Corner! Here you’ll find ideas and activities for sharing art with the children in your life, including how to set up a kids’ art space, my favorite art supplies for toddlers, preschoolers, and big kids, and how to talk to your kids about art. 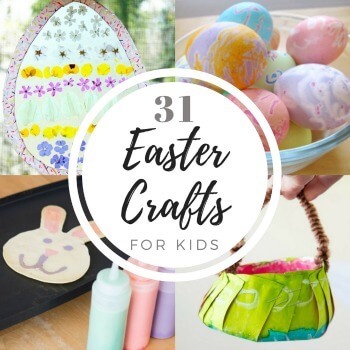 In addition, there are hundreds of fun and easy arts and crafts activities that will inspire your children’s creativity. Are you new to The Artful Parent or to making art with children? Check out some of these posts to get your family started on your own artful journey. Looking for posts by type of art activity? Click below. Or click here for the visual directory. Help the youngest members of your household start down the creative path. There are so many ways to use art for creative games! Our favorite kids’ art materials and tools, plus recipes for homemade art materials, and ways to stock an art cupboard on a budget. Interested in starting or joining a children’s art group? Some activities seem to promote creativity and creative thinking more than others. Why is art and time for creativity important? 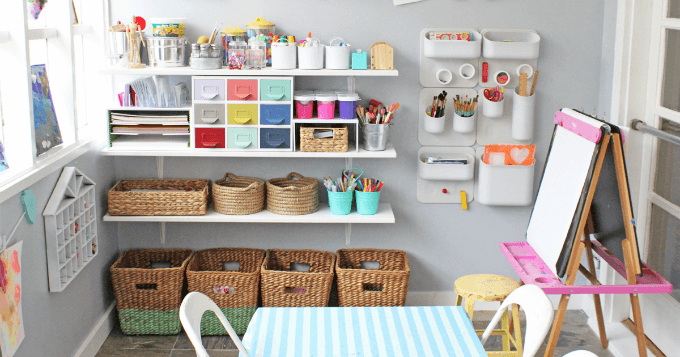 Create one or more child-friendly art spaces in your home to encourage everyday creativity. What to do with all the art your children make? Welcome to The Artful Parent blog where we inspire parents to raise creative kids through easy & fun art activities! This site contains affiliate links, which means that I may get a commission if you decide to purchase anything from suggested companies. I recommend products that I use and love myself or that I think would be a helpful resource for you. Using these affiliate links to make your purchase helps to keep The Artful Parent running. Thank you! Copyright 2019 Artful Media, LLC All Rights Reserved.